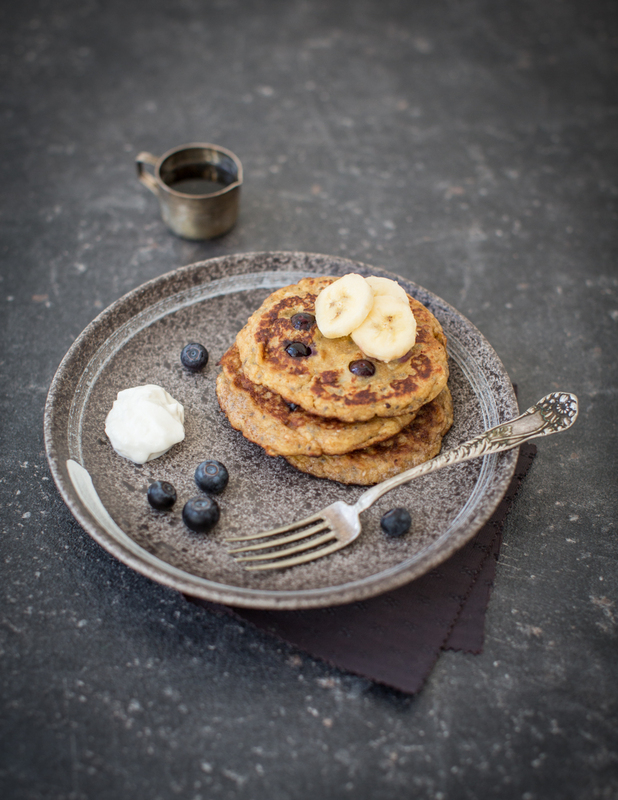 These flourless banana pancakes are a great alternative to my traditional blueberry pancakes. Plus, you manage to hide two portions of fruit in them! Peel the bananas, cut into slices, put in a bowl and mash with a fork until you get a purée. Add the peanut butter, eggs, oats, vanilla extract and chia seeds, if using, and stir to get a batter. Melt the butter in a frying pan and put the pancake batter into the hot butter to form 5 pancakes. Sprinkle a few blueberries over each pancake and fry over a low heat for 2 ½ minutes. Turn the pancakes over and cook for another 30 seconds on the blueberry side. Transfer onto a plate and repeat with the remaining batter. 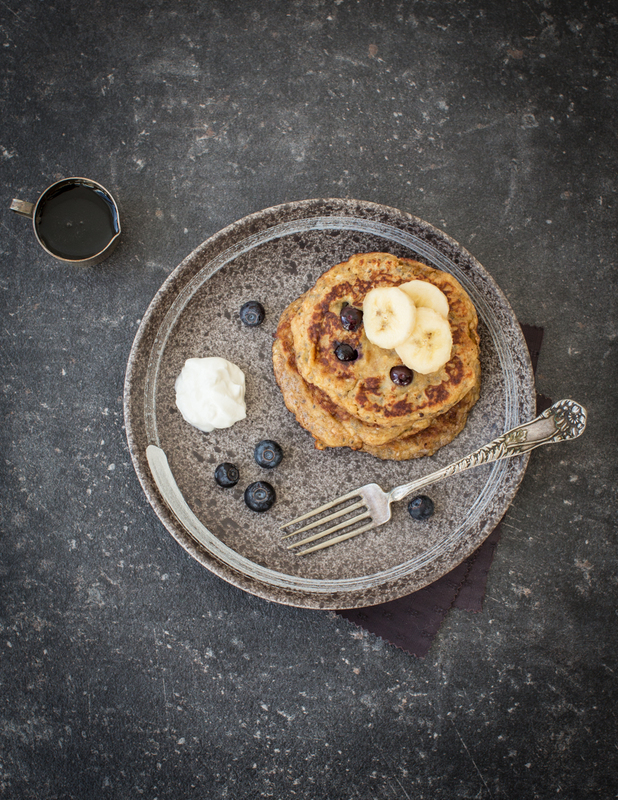 Serve each portion of pancakes with a dollop of yoghurt and a generous drizzle of maple syrup.